Hi guys, One thing you should never do is stop a good thing , this advise seems fairly sound for many things in life actually. Guiding has been good lately and the fishing has been second to none. I have been lucky to be able to really enjoy watching some first class fisherman hunt down hard to catch trout and land some really hard fighting beasts too. I have enjoyed my guiding over the last few months and attack everyday like it is still one of my first. Sometimes days have dragged out to most of the day light hours but we are doing a bit of driving and a good bit of walking to get to places which may not see too many flies in a week, it’s all worth it. Needless to day most of the last week has been spent away from the Taupo fishery in the backcountry , actually over near Napier. Napier has a special place in my heart I was bought up on these rivers and was taught to fish over there so it’s nice going back to grass roots and thinking about the past with my Dad. I remember being on my Dad’s back crossing rivers so it didn’t go over my gum boots, now I carry Dad so it doesn’t go over his neck, lol. Many under rated fisheries in this area and at the right time of year things can be pretty good fun and the weather is generally a few degrees warmer. We have been lucky again with the weather again in general and most anglers who plan to get out have not been disappointed. The boat anglers are still cleaning up on the lake while jigging or trolling so smelt numbers must be healthy and active, sure is shaping up well for winter. 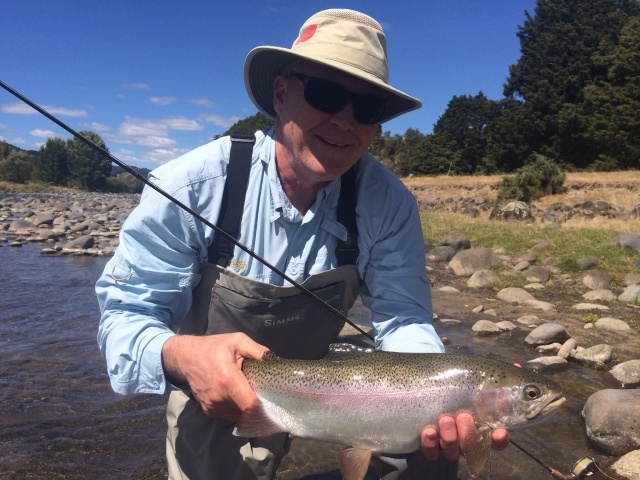 We are starting to see a few good silver fish running the river now-especially the Tongariro. These will be slightly bigger than most and in good condition. 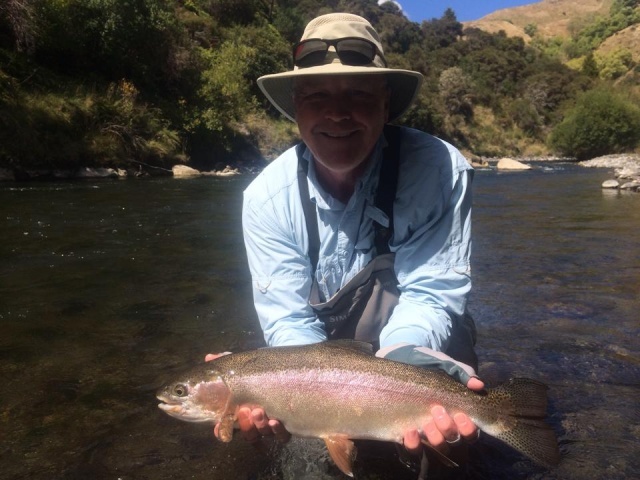 They are also the gene pool that fishery managers want to see spawn as they are better than the later ones apparently, most will be caught and killed if they hang about to long in the easy to get to holding pools on the Tongariro. I would quite like to see this next few months go toÂ a reduced limit bag or catch and release, this may help what they are trying to achieve. 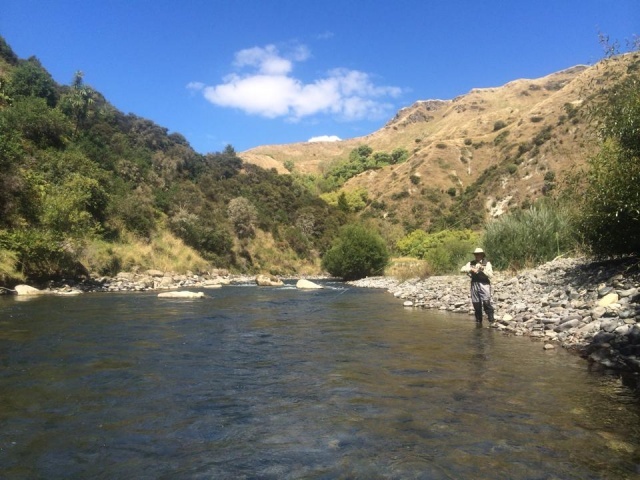 A close eye will be kept on the smaller rivers in the coming month or so, a small amount of rain will push the first fish into the Hine and Waitahanui rivers. Currently there are small trout in these rivers but they will certainly fish best once spawners begin to appear. The Hine has had a good couple of years recently but every year can be different, those early mornings with cold frost on the ground bring back good memories of pools loaded up with fish in that lower section. The Cicada fishing has all but gone for local fishing. I was hoping we were going to see these guys go for a little longer but with cold nights and lower temperatures they sure have come to a halt. All in all we had a good year and fish were easy to pick off for quite sometime. There still may be some evening action on the dry fly with Mat fly or Caddis but in reduced amounts. 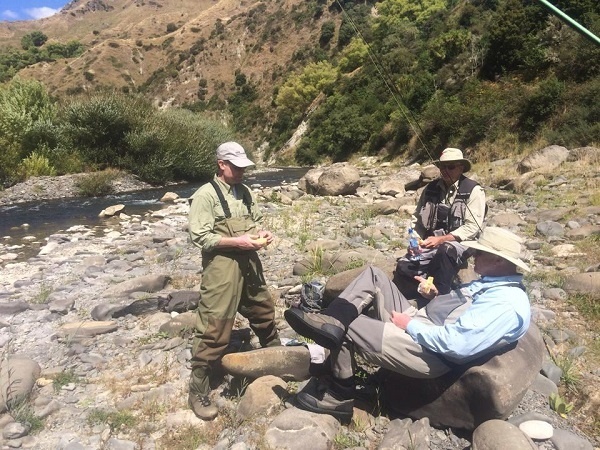 I actually guided a gentleman that contacted me at 5 pm after I had just walked in the door from a full day last week and asked if I had time to take him out that evening so I literally turned straight around and drove back to Turangi and picked up from the Creel LodgeÂ for a further 3 hours of fishing. We got of the water in the dark and saw nothing which would tell me to stay and see what was going to come of the evening dry fly. We saw a few small splashy takes which usually means small trout but that was it. It was a good move as the same angler has now booked another full day and is staying in our fishing batch for a few nights with his family, hard work pays off eh. 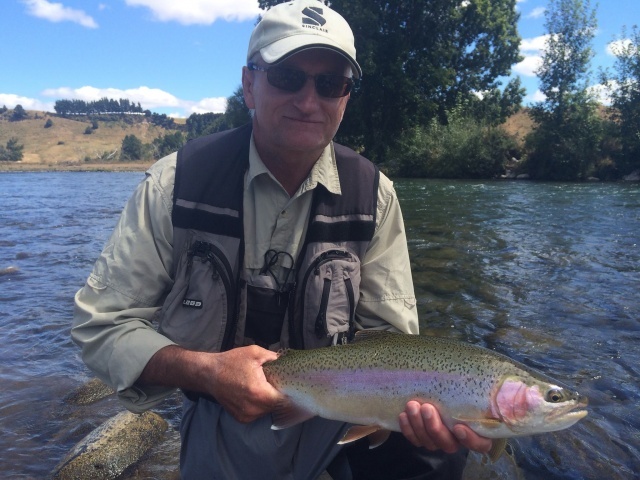 Brown trout are scattered through a few fisheries in Taupo as most of you know. There are browns being caught most days in the Tongariro but with the Cicada’s slowing up many of these will be safe for a while as they will get harder to catch for most in the middle reaches where nymphing will be needed. The lower river will still have plenty but nymphing the slower flowing water will be harder and hopefully save a few. I actually saw a true 10 lb fish the other day which my client had a go at for a little while, heÂ is still in the river I think we certainly did not come close to fooling him. 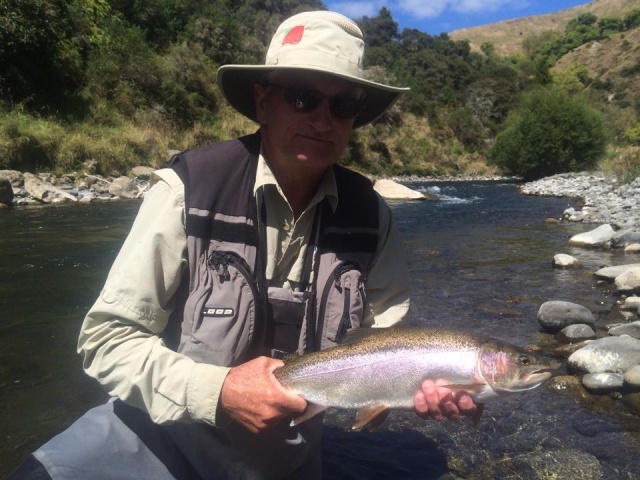 The Waitahanui also has heaps of trout especially in the lower reaches, the wind is blowing westerly today so there may be more coming in as we speak. Hard to catch is an understatement but most anglers love to see themÂ none the less. The mouth or the lake front will be the best option to catch one of these down this way, wet fly during the evening or into the night will always be the brown trout’s down fall.